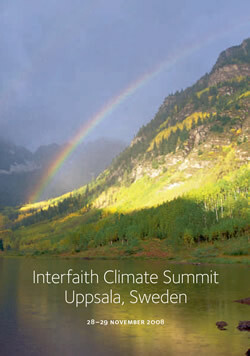 World-level grand “Interfaith Climate Summit” to be held at Uppsala (Sweden) on November 28-29 has come under heavy criticism because of allegedly unfair representation of various religions on its list of select international invitees. Acclaimed Hindu statesman Rajan Zed, in a statement in Nevada today, said that it was commendable to see diverse religious leaders, religions and denominations coming together to bless the environmental causes in Uppsala, but the organizers should have given adequate and fair representation to major world religions. Zed, who is president of Universal Society of Hinduism, said that Hindus represented about 14 percent of world population but there was only one Hindu name listed in the list of 29 world faith leaders who would sign the manifesto promoted as “The Uppsala Manifesto”. Hinduism was the oldest and the third largest religion of the world with about one billion adherents and a rich philosophical thought and it should not be taken lightly. Some other world religions, like Bahaism, Jainism, Shintoism, Confucianism, and Zoroastrianism, have not been represented at all in this Summit select list. Rajan Zed argued that because of the unfair treatment to certain faith groups, Manifesto signed at the Summit would not carry the expected moral strength when presented to United Nations (UN) Framework Convention on Climate Change next month, UN Commission on Sustainable Development next year in New York, various world governments, and religious networks. Purposes of the summit listed include “to communicate an urgent, hopeful, ethical-religious message to the global community about the need…to slow down global warming”. Zed wondered how the Summit message would be effective globally when many communities went unrepresented or under-represented. The Summit brochure says: “It will draw attention to our shared responsibility to give hope to the world, and also to eliminate the adverse effects of global warming.” How that responsibility could be shared when many major faith groups representing large chunks of (the world’s) population were simply ignored, is a major concern for Zed. Here is the breakdown of the 29 faith leaders who would sign the Manifesto, as provided by the Church of Sweden: Christian 13, Muslim five, Buddhist three, Jew three, Dao two, Hindus one, Sikh one, Native American one. But Zed otherwise admired Church of Sweden and its Archbishop Anders Wejryd for taking the world leadership role in organizing this much-needed Summit and thus making religions climate friendly. Faiths coming out in support of the environment was a remarkable signal, he added. 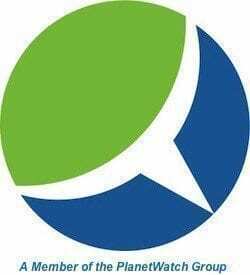 Humanity was facing a threatening ecological crisis and religions should not stay out as silent spectators. We may believe in different religions, yet we share the same home—our Earth. We must learn to happily progress or miserably perish together. For man can live individually but can only survive collectively.